2019 New || Launch Sale || World’s 1st Custom Hydro Dipped Unique, 3D Pro Printer Pen for Kids & Adults, DIY Printing Kit to Create Arts & Crafts, Beautiful Gift Box, Free 380+ Stencils Ebook! The 3D Pen that Truly Inspires! Made for Artists – World’s 1st Unique 3D Pens “Dressed” in Custom Hydro Dipped Watercolor Effect ((( We’re doing a launch sale now! )))Beery Penn 3D pens are not only designed to be UNIQUE, BOLD & BEAUTIFUL, they are also made with safety, ease of use, precision, comfort and reliability in mind. All our pens are quality tested before we ship them out. UL listed & FCC certified, quality is assured! We also support 30 days return & money back for a total risk free purchase. ✏️ The watercolor effect “prints” on our 3D pen is made using a CUSTOM HYDRO DIPPED process. Every pen is UNIQUE, just like your fingerprints. No two pens are exactly the same. Beery Penn is an artist’s 3D pen & the perfect gift for someone special. ✏️ Our 3D pens are built with the latest 2019 motor & heating component designed to heat up loaded filament thoroughly ensuring that the pens do not clog during operation. ✏️ PROFESSIONAL 3D Pen crafters will love the ability to control the pen’s temperature by at precisely 1 degree intervals. ✏️ Our 3D pens will appeal to children, teens and adults. It is great classroom tool for cultivating creativity and making a variety of 3D art projects. Premium Contents: 1 x Beery Penn 3D Pen (UNIQUE prints)1 x Power adapter1 x Premium quality “Animal Themed” GIFT BOX1 x USB cable1 x User Guide (Easy to read & includes “connect the dots” fun activity to get know your 3D pen)1 x Pen holder1 x PVC board1 x 3D drawing “non-stick” reusable stencils (10 projects)2 x Thumb protectors10 x PLA filaments (10 colors 98 feet)Important Notes: 1. Suitable for boys & girls aged 7 years old & above. Children must be supervised when using this product. 2. Please do not touch the nozzle during operation. ✔️2019 NEW || 24 HRS LAUNCH SALE || at $19. 75. Regular price $45. 75 . SAVE $26! BE UNIQUE. Get the Worlds 1st CUSTOM HYDRO DIPPED 3D Pen inspired by Watercolor Paintings. Beery Penn 3D printing pen is an interesting educational tool to help kids develop spatial ability and cultivate creativity. It is also the perfect present for parents to spend quality time with their children and transform imagination into 3D art and craft. Groom a 3D artist today! ✔️PREMIUM BUNDLE and BONUS X3 (with 380+ STENCIL RESOURCE EBOOK): (1) Packaged in attractive PREMIUM QUALITY Animals Themed GIFT BOX. 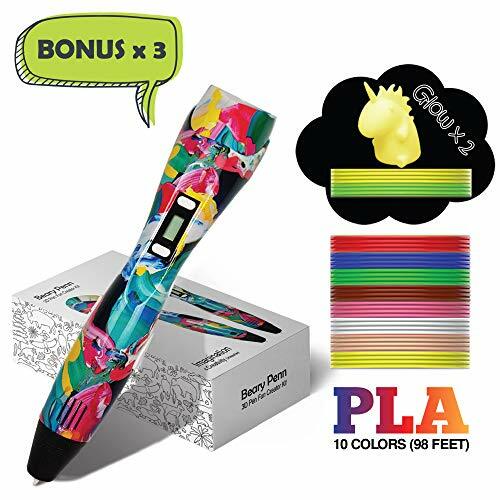 (2) GET MORE with our 3 D pen set essential kit, EVERYTHING you need including 10 colors of 98 feet of NON TOXIC PLA filaments, Non Stick 3D drawing stencils (10 pages), BONUS 380+ Stencil EBook, PVC board, etc., etc. (3) 15 Percent Off Coupon Code for Beery Penn PLA Filament MEGA BUNDLE. ✔️SAFETY PROTECTION: Our 3D pens are made of ABS material and the included 10 color filament do not produce toxic substances during heating. Each 3D pen will automatically switch off after 3 or 10 minutes of inactivity. Designed with child safety lock heat cover that is not easily tampered with, the nozzle is made with extra heat insulation high grade ceramic for lower temperatures in case someone come in contact with it by accident. ✔️NON-CLOGGING & EASY TO USE: Made for artists, our professional 3D pens are designed with the LATEST 2019 motor and heating component that will thoroughly heat up loaded filament, ensuring that they do not clog during operation. 3 optimized speeds are easily controlled by highly intuitive buttons. Both automatic and manual LOW NOISE filament loading modes are also available. An easy to read USA VERSION user guide is provided to help you become an expert user of Beery Penn 3D pen in no time! ✔️NO RISK PURCHASE: Your satisfaction is our top priority. We support 30 days return & money back . If you have any questions with our 3D pens, please EMAIL US DIRECTLY. Our customer service officers are committed to respond within 24 hours. If for any reason you are not completely satisfied, we will replace or refund your order with no questions asked! Posted on March 11, 2019 Author Best 3D PrinterCategories 3D Printing KitsTags 2019, 380+, Adults, Arts, beautiful, Crafts, Create, Custom, Dipped, EBook, Free, Gift, Hydro, Kids, Launch, Printer, Printing, sale, Stencils, Unique, World's2 Comments on 2019 New || Launch Sale || World’s 1st Custom Hydro Dipped Unique, 3D Pro Printer Pen for Kids & Adults, DIY Printing Kit to Create Arts & Crafts, Beautiful Gift Box, Free 380+ Stencils Ebook! 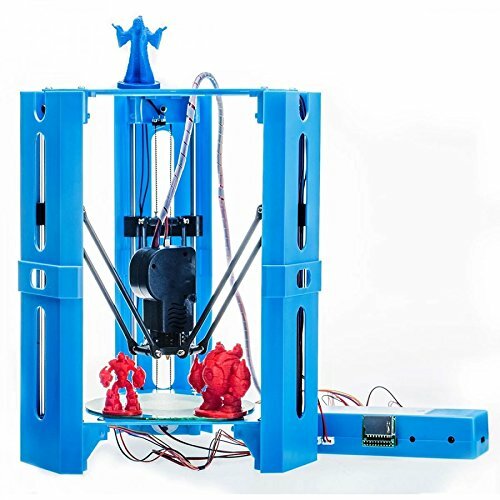 What can I make with 101Hero 3D Printer? Just about anything! 101Hero can create single or multi-part 3D objects for endless creative possibilities including: 3D shapes and 3D models Toys, gifts, jewellery, pendants and ornaments Decorative art and fridge magnets Personalised everyday objects (iPhone cases, pens, and more!) Accessories for Lego and other popular toys Robotics and Chess pieces Useful household solutions Arts and crafts Replacement machine components Classroom and lab pieces. Everyone is a Maker We designed 101Hero to be easy for anyone to use. It’s a great way to inspire creativity and curiosity in children at home or in the classroom. Use it to make toys, gifts, art and useful solutions for the home. Using the 101Hero Consumer Version (CV) simply download designs from our website onto a memory card and create directly using only the printer. With the CV version anyone can 3D print in minutes. 101Hero Grows with You From simple downloadable projects to fully custom 3D models the 101Hero can grow with you as your journey of creativity progresses. Our Designer & Developer Version (DV) is USB connectable and can be used with any Windows, Mac, or Linux based computer and supports open-source software such as Slic3r or Cura for advanced users. Simply load the 101Hero setting file and generate a custom G-code file for the printer. 101Hero 3D Printer Working Video (move down) For those who are interested to see a demonstration of a printing project from start to finish we have included this long form video. It’s a chance to see the 101Hero in action from the first press of the button to the end result. From crafting to drawing, nothing creates a unique piece of art quite like the scribbler 3-d drawing pen. Scribbler 3d pen has been significantly improved upon as compared to other models that already exist on the market. Art has been around since the dawn of time. Drawings, paintings, sculptures, it’s all a way to express our love, emotion and feelings. And now, thanks to the scribbler 3d pen, we have a tool for the creative minds of our generation lightweight and easy to use, our 3d pen allows you to build 3d objects from the ground up with ease and precision. Scribbler 3d pen is a tool for the creative minds of our generation. It allows you to build 3d objects from the ground up, build any and everything you can imagine with ultimate ease and precision. Unleash your creativity and let it run rampant through your studio · scribbler 3d pen v3 in selected color USA power adapter ul standard ·3x 1.75mm pla filament in different colors,10 feet per loop · easy-to-follow instructions -in case of any issues please contact us through amazon or website for troubleshooting instruction. Our service center is in the USA. AWESOME DESIGN: New housing was designed based on feedback of thousands of users. The 3D Pen has 4 control buttons which allow you to easily change the speed of extrusion and the temperature of the nozzle. You can change the speed from 1 very slow speed for precise drawing to 6 for quickly filling empty spaces. You can change the temperature from 100 to 240 degrees Celsius which allows you to draw with huge variations of plastic filament. AFFORDABLE PLASTIC FILAMENT: When shopping for a 3D pen, you need to consider the price of the plastic along with the price of the pen itself. At Scribbler, you will find a wide selection of affordable filament refills. Rest assured, we price our filaments lower than our competitors. You can use ABS, PLA, FLEXIBLE, WOODEN, BRONZE, COPPER plastic filaments with our 3D Pen. KIDS AND ADULTS WILL LOVE OUR SCRIBBLER 3D PEN: Whether you are an experienced artist, novice crafter, or excited hobbyist, our Scribbler 3D Pen works for people of all ages. It makes a great present for anyone who loves tech or artsy toys. From creating toys and Holiday ornaments to fixing your 3D prints, Scribbler DUO can DO it ALL. Every pen comes with 3 LOOPS of PLA plastic filament, fume-free. EMBRACE YOUR CREATIVITY: Our art 3D pen is more than your average paintbrush, pencil or watercolor; it is a truly unique art tool that allows you to create dragons, ships, superhero figures, and so much more. Give in to your creative side and make something that truly wows people. Safety functions include: Ceramic Nozzle – much safer compared to the copper nozzle from other manufacturers; automatic shut-off after two minutes of non-use for your safety. AMAZING 3D CREATIONS: Create unique and fantastic 3-D art straight out of your imagination. Draw vertically, horizontally, or make up your own style. You will find that the only limit for your 3D pen is your own imagination. 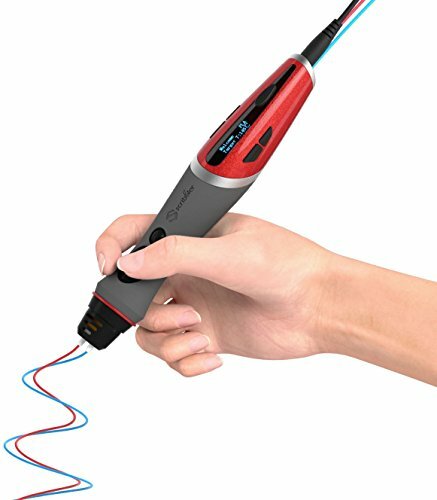 Scribbler 3D Pen V3 is NEWEST MODEL of 3D pen and includes all the latest features: LARGE OLED screen which gives the user complete control over all details of their drawing experience from temperature and feed settings to material type options.